Citizens can now easily access complete information on criminal records, assets, liabilities and educational qualifications of their contesting candidates along with the elected ones through a SMS by specifying their constituency name or the pincode of their location. During elections in particular state, voters of that state will get information on criminal, financial and educational qualifications of the contesting candidates. During non-election period, citizens will be able to access complete background information of sitting MP and MLA of their area. Information given: Criminal records, Assets, Liabilities and Education Qualifications. Source of Information: Candidate information given in affidavits. Initially the information based on earlier affidavits only will be provided. New information based on current affidavits will also be provided as and when it becomes available (usually about 7-8 days before the election dates). Assembly Constituency JALUKBARI, MLA HIMANTA BISWA SARMA INC: Criminal Cases-No, Assets Rs10230923, Liabilities Rs696854, Education Post Graduate. Lok Sabha Constituency GAUHATI, MP BIJOYA CHAKRAVARTY BJP: Criminal Cases-No, Assets Rs2370000, Liabilities Rs0, Education Post Graduate. visit www.myneta.info. Call toll free 1800-110-440 for more. Dear user this keyword has been expired. This pincode 000900 is not mapped to any constituency in our database as of now. 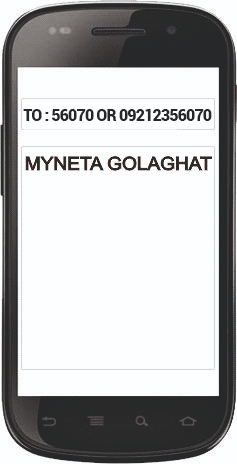 You can also send constituency name instead of pincode.You can visit www.myneta.info for full details or call toll free 1800-110-440 to get them on phone. Constituency name abcdef not found in our database,please ensure correct spelling. 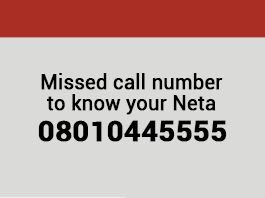 You can visit www.myneta.info for full details or call toll free 1800-110-440 to get them on phone.